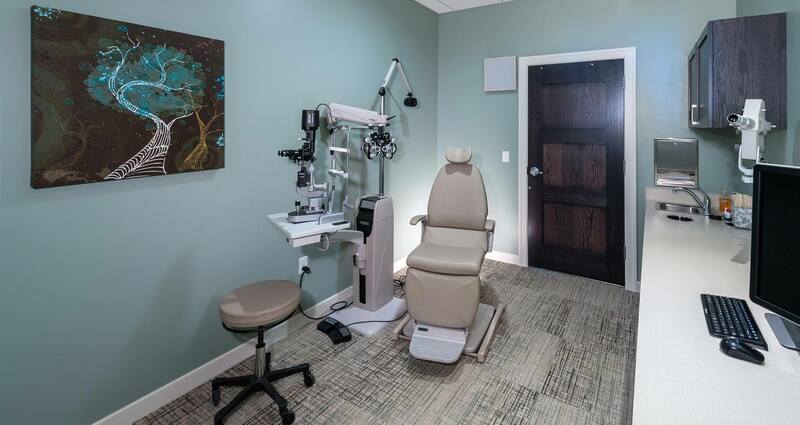 Retina Specialists of Michigan had a dilemma even its great staff couldn’t overcome: an inefficient workspace. The problem wasn’t service oriented, but rather design. Patients were growing frustrated. Rooms were underutilized. So, the practice turned to AMDG for answers. Working in a unique collaboration with Lean consultants, AMDG addressed multiple patient needs and solved for the way patients and staff move within the space. The effect was nothing short of eye-opening. 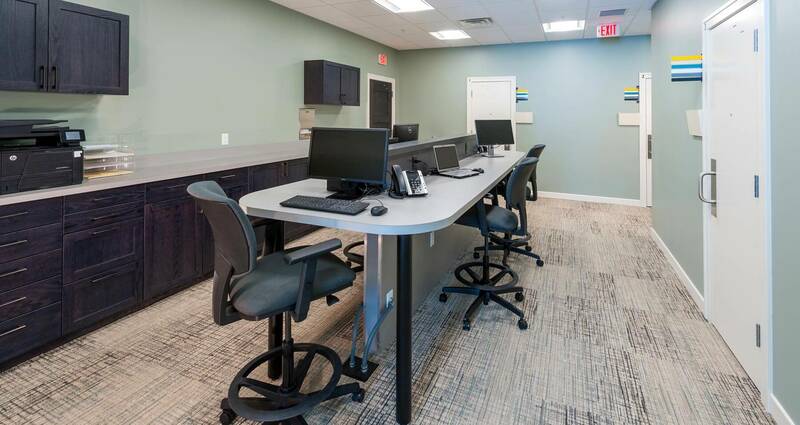 With a centralized work area to draw from, the practice’s roughly 30 clinicians and staff are now able to move within the space and treat patients with far greater efficiency. Lean design allowed staff members to reduce the number of steps taken in a day by nearly 50 percent. The result is a decrease in wait times and more patients served. Where previously they would shuttle between rooms, and miss out on vital communication in the process, Retina Specialists staff members now benefit from an open plan and a centralized hub for staff to collaborate. When a space flows and patients are happy, something important happens for those providing their care: they too, become more satisfied. In reciprocal fashion, Retina Specialists has enjoyed a 15% increase in patient satisfaction. 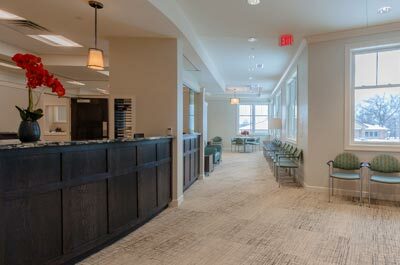 With Retina Specialists, the design and building process was as collaborative as the resulting space. 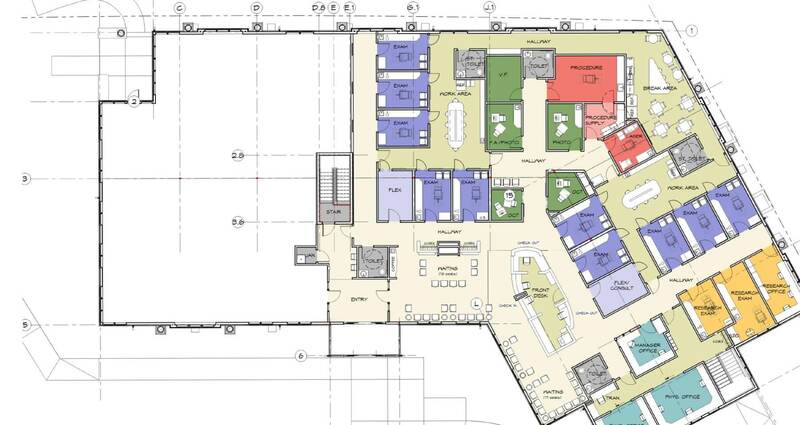 AMDG, consultants, staff, and construction professionals worked closely on everything from patient simulations to mapping to design trials and work sessions. The outcome? 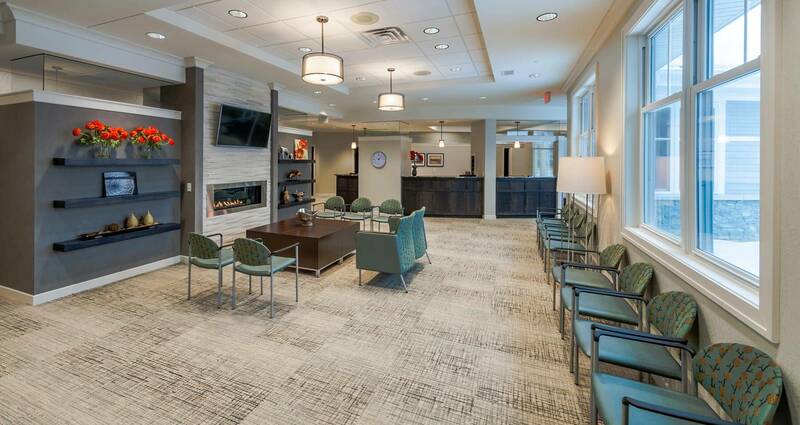 A crisp, inviting space to look at and a practice that provides a seamless care experience for patients.